There are 2 important parts to making a financial agreement and 5 steps that you take to make it happen. First, let’s cover the 2 parts. We can show you how to complete your agreement and get the legal advice for just $1887 for both parties – without stress, fuss or engaging combative lawyers. Now let’s take a look at the 5 steps to make it happen. The agreement is the blueprint for documenting your arrangement. Under the legislation, you can make a financial agreement at any phase of a relationship (before, during or after) or whether it’s a marriage or de facto union. And then once you purchase the agreement kit, you’ll be able to answer a few easy questions so we can provide the correct kit for your personal circumstances. For example – if you’re separating, we need to know if you’re married, divorced or de facto so we can provide the correct agreement that conforms to the relevant sections of the Family Law Act (or Family Court Act for de facto couples in WA). In the second step, you and your partner add the material facts to the agreement. These are the things you already know about your personal situation – what you own, what you owe and how it will be divided. access to our friendly customer support. In the third step, we’re going to help you to caress those basic building blocks into a robust agreement, so that the lawyers will quickly understand your situation and be able to advise you efficiently. This is a unique part of the process that opens the door to the Fixed Price Legal Advice. You won’t find this anywhere else. Without this assessment the lawyers wouldn’t be confident of receiving high quality documents and could not possibly stick to a fixed fee service. In the fourth you’ll purchase the Legal Advice for just $1790 for both parties (unless your situation is very complex). You and your partner will each speak with a separate and independent lawyer (all done via phone and email) and once that’s done, you can finalise your agreement. In a nutshell – we work with you from start to finish. 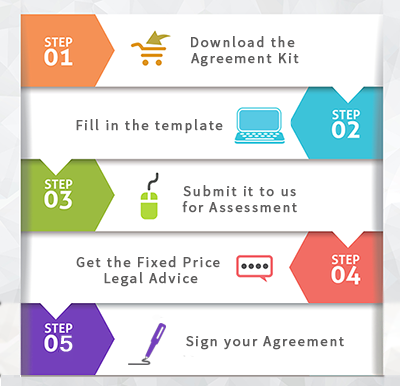 From the moment you download your agreement to the final signature. 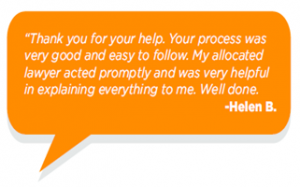 We know our stuff, our systems are finely tuned and our customers love us for it! 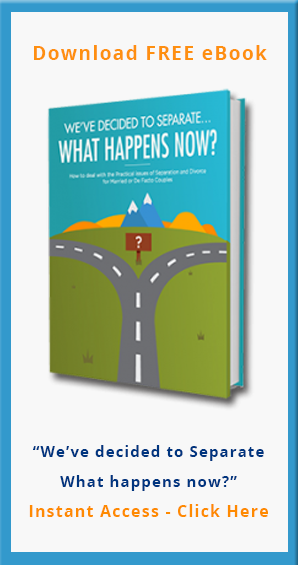 That’s it – 5 simple steps and you’re done. Ready to get Started? Click this button to choose your agreement.